This set of beads is ready to wear as a bracelet since it has been strung on clear elastic cord. Or you may have other ideas in mind for this set of 14 beads. 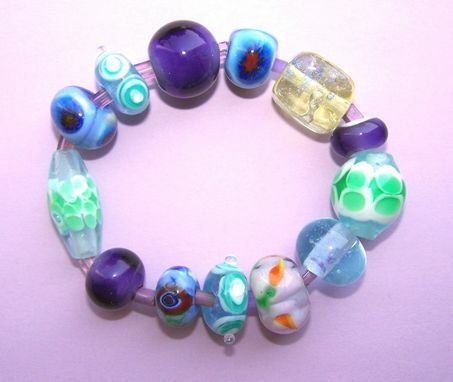 Each bead is unique with a few things in common and separated with tiny clear lilac beads.